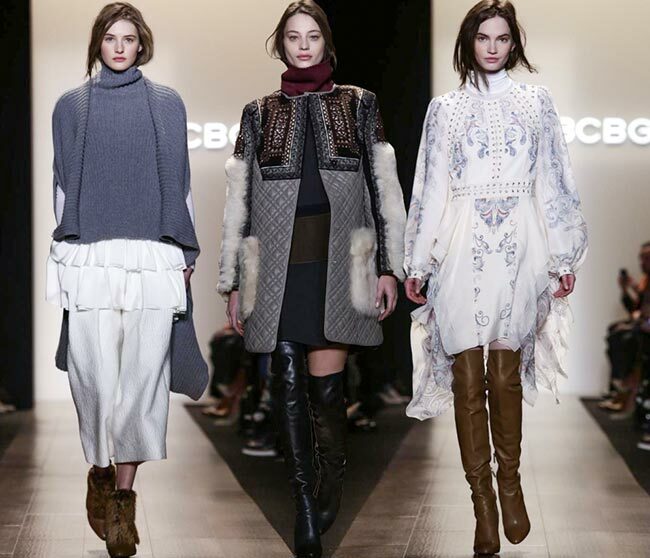 “Textures and patterns are layered with ease, creating a home-spun elegance’, said Lubov Azria, the chief creative officer of the BCBG Max Azria Group talking about the newly launched BCBG MAX Azria fall/winter 2015-2016 collection. This is a global fashion house with over 20 brands, headed by Max Azria, husband to Lubov Azria and founder of that one big brand that caters to the contemporary woman with certain finesse. Max Azria is of Tunisian Jewish descent, while his wife is from Ukraine. Based out of Los Angeles, the BCBG brand was founded back in 1989 and was meant to be the abbreviation for “bon chic, bon gendre’ in French. It was only in 1996, a mere 7 years after its founding, that BCBG premiered its collection at New York Fashion Week to the delight of raving fans. There have even been collaborations with stars like Miley Cyrus within the past few years. 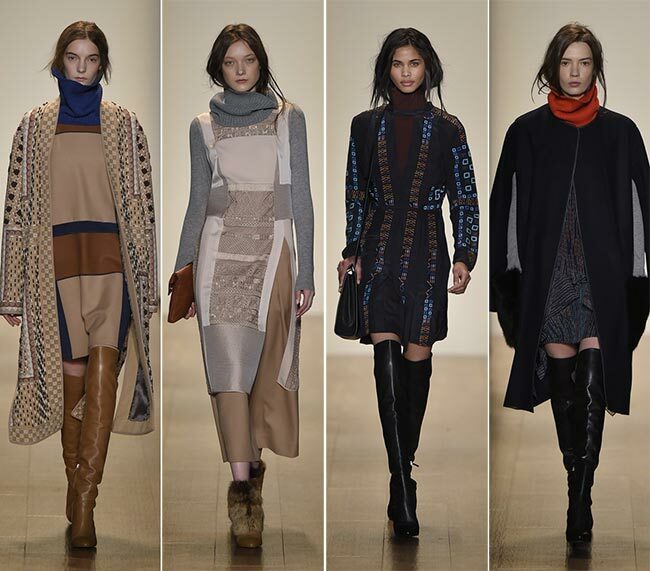 Today, we saw the unveiling of the BCBG Max Azria fall/winter 2015-2016 RTW collection at New York Fashion Week, appearing as one of the first labels for the shows that are yet to come over the next few days. It was an intriguing line, moving from some of the lighter shades of white and beige and tones of a cooler nature, before moving on to darker shades of reds and plum, navy and grey, before ending in some black numbers. Whereas the first piece of the collection is white, fringed and of a lighter nature, the last one is black, furry, heavily layered and so much more weighty. It’s certainly made for the frostiest of weathers. It might do to walk about the footwear. 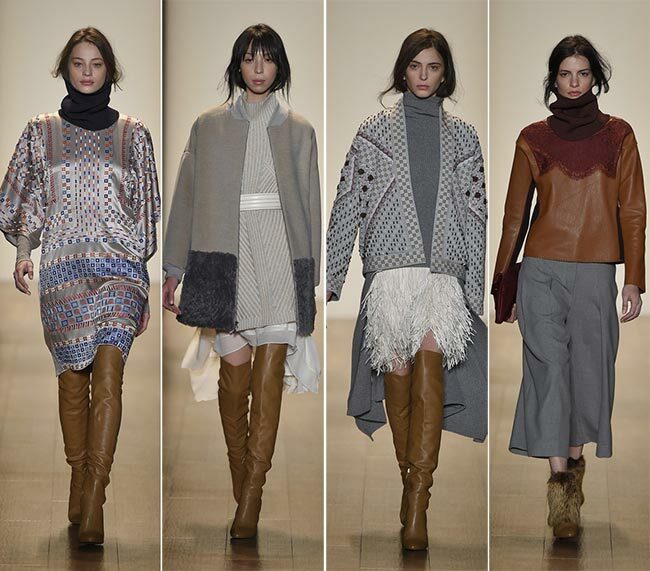 We see a few different variations, whether in color, styling or length, but for the most part it appears as if the over-the-knee designs are in to stay for the year. We saw them at the couture fashion week for the spring season and we see them now in full force on the runway for the fall and winter ready-to-wear looks. We are looking at beige leather boots that come up to the thighs, as well as fur topped leather ankle boots in the same color. The high top boots come in black as well, while the similar mini version in ankle boots with the fur topping is with grey over black leather. 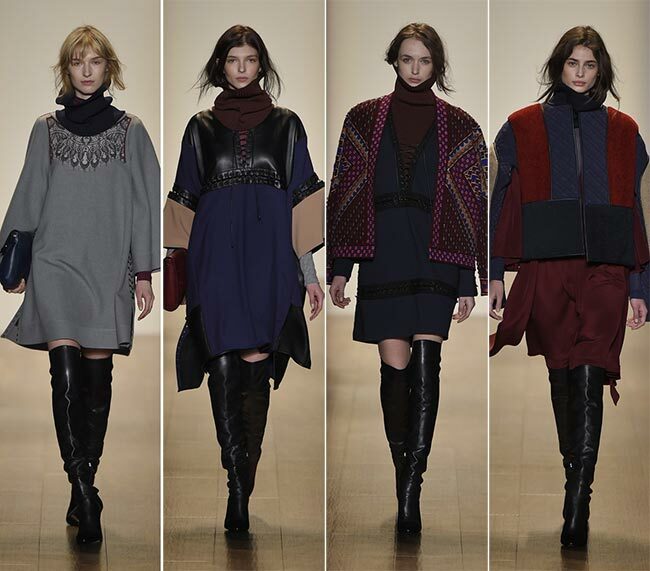 Those of Armenian descent will delight in the fact that one of the pieces showcased on the runway utilizes the red, blue and orange striped flag of their homeland as its basic colors, frames in grey and topped with a blue cowl neck. Of course, it was not meant to be thus; instead, taking Barcelona colors as inspiration, Azria opted to create something that by chance took on the look of a Caucasian country’s brazen hues. The fur-sleeved coat thrown over the dress itself seems to have very distinct embroidery in more Eastern colorings, perhaps utilizing concepts from the Caucasus combined with the Mongolian traditions. While the coat comes down to past the knees, the dress itself is of a shorter hem, coming down to mid-thigh and showing off a sliver of skin only where the boots end and the dress begins. 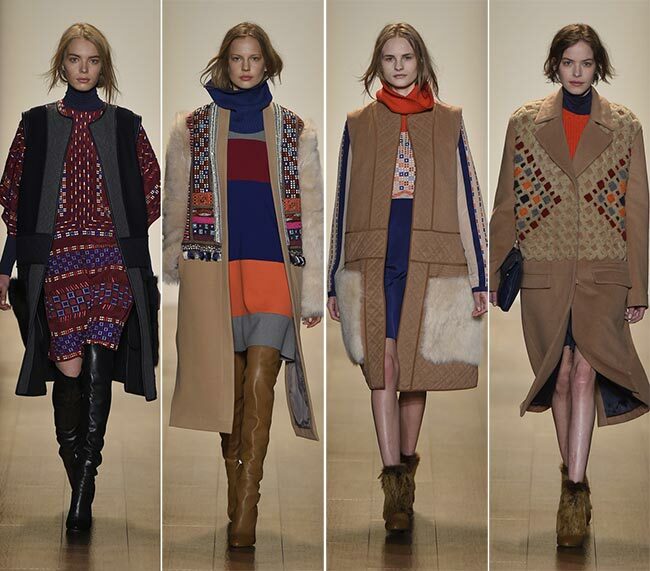 The BCBG Max Azria fall/winter 2015-2016 collection is beautiful, meant for the great outdoors and utilizes the shorter hems on its skirts and dresses, while bringing one’s focus to the little bit of skin that may or may not be seen along the way. That is, of course, if the garment has been paired with the longer boots instead of the ankle length versions with their furry bodies. That fur itself appears not only on the shoes but on the coats as well, on the sleeves and the pockets, the bodies and the vests. The whole of the collection is a piece of Northern weather based art!